Purchasing a base-level pickup should mean a half-baked feature lineup and subpar power ratings. 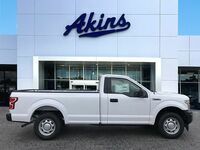 With its starting MSRP lying low at $28,155, the Ford F-150 XL revolutionizes what it means to be base level with a competitive set of feature and performance offerings. Keep reading to learn more about the 2019 Ford F-150 XL near Atlanta, GA and what it has to offer. 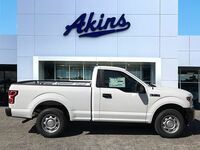 With its standard package, the model comes with the 2-door, 3-passenger Regular Cab and 6.5-foot bed. Two other cab configurations are offered on the XL. With the SuperCab, the F-150 maintains its 2-door structure but gains a rear bench seat, allowing it to accommodate up to 6 passengers. The SuperCab option gets paired with a 6.5-foot bed or the optional 8-foot bed. For those looking to max out their cabin space, the SuperCrew Cab is the way to go, offering a spacious 4-door, 6-passenger layout. The SuperCrew Cab option demands a shorter bed to accommodate the supersized cabin, giving drivers a choice between the 5.5-foot bed or the optional 6.5-foot bed. Just looking at the numerous cab and bed configurations offered, it’s clear that Ford takes customization seriously. In fact, a major player in the success of the F-150 has proven to be its all-around flexibility. Equipped with the 3.3-liter base engine and its 6-speed automatic transmission, the XL rolls in with 290 horsepower and 265 lb.-ft. of torque – and that’s just the tip of the iceberg when it comes to the XL’s potential. Ford gives the option to upgrade to the next-level 2.7-liter V6, which cranks out up to 325 horsepower or 400 lb.-ft. of torque. Looking for a little more kick? The XL sweetens the deal with one more engine option. 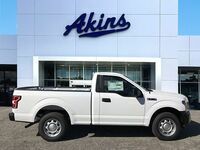 Equipped with the 5.0-liter V8, the pickup gets boosted to 395 horsepower and 400 lb.-ft. of torque. Both the V6 and the V8 are paired with a 10-speed automatic transmission. This pickup isn’t all bulky cabs and brawny engines either. The F-150 XL comes equipped with a wealth of features you wouldn’t expect to find on a base-level trim. Some standard features include auto start/stop, a rearview camera with dynamic hitch assist, Trailer Sway Control, Automatic High Beams and Pre-Collision Assist with Automatic Emergency Braking. 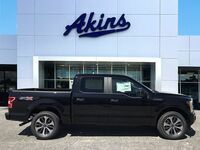 Interested in a 2019 Ford F-150 XL?